1. Prepare a special dinner at home or even cook together. There is nothing more special in preparing a dinner with a special touch with your loved one. And, don’t forget about the red flowers. or… 2. Come in and enjoy a romantic candlelight lunch or dinner at Allegria’s. We strive to put a personal touch on our cuisine, decoration and attention to service. 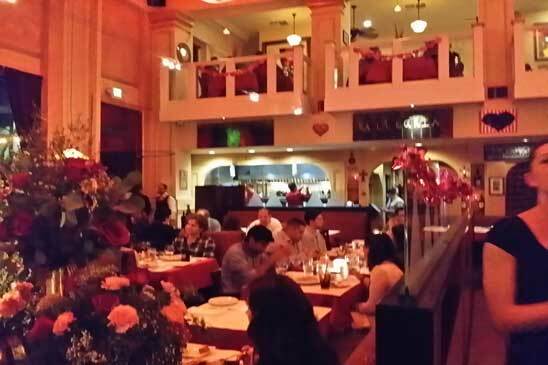 Please join us to celebrate at Allegria’s with your loved one on Valentine’s Day, we would love to make your Valentines day special. We will be open for lunch and dinner. We will be serving a special menu with delicious chef’s specials. Happy Valentine’s Day! Valentine’ Day or the Feast of Saint Valentine is observed on February 14 each year. It is celebrated in many countries around the world, although it remains a working day in most of them.